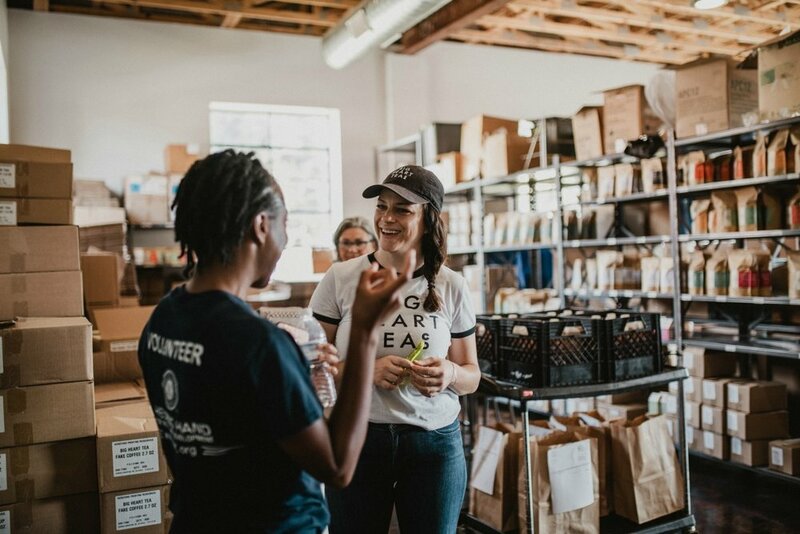 Women in Business: Talking about Money | Big Heart Tea Co.
You know it’s a dusty old saying but - it takes money to make money. Damnit, it’s true! Last month, we gathered a warehouse full of the bossiest babes to talk about it. Not about finding money, but about the real real. The secret money stuff that keeps us awake at night. The kind of stuff that you would never tell your mom. As business owners we get advice all day about the best ways to market, sell, and create new products. And because it’s BUSINESS, and it’s our jobs to exude confidence, we rarely get the opportunity to let down our guard and be vulnerable about the really hard stuff. 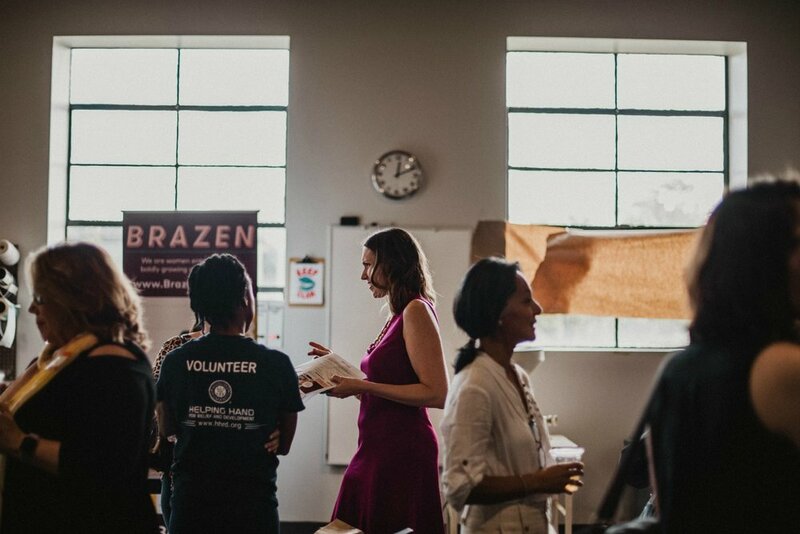 Last month we co-hosted 20 women in collaboration with Brazen Global and One for Women. As attendees entered, they were asked to write, anonymously, their deepest darkest financial secrets. Talking truth about money is uncomfortable and, in some cases, shameful. This event was an attempt to start breaking down those barriers and understand that your problems are not so unique. My car was repossessed while my family was visiting. My credit is maxed and I can’t afford inventory. I haven’t paid myself in 2 years. I have no idea what I am doing (x3). Seeeeeeee, the real real. These are real obstacles and sacrifices that we business owners make. And for what? OUR DREAMS, THAT’S WHAT! The panel was moderated by Lisa (Big Heart Tea Co.) and included THE Shayba Muhammad (Mahnal Jewlery) and Meg Wheeler (One for Women.) These women gracefully embraced each comment and offered anecdotal advice accompanied with additional resources. The vibe was heavy with sisterhood and I feel pretty good saying that everyone left feeling just a little more validated and confident that they’re not the only ones ‘faking it until they make it’. 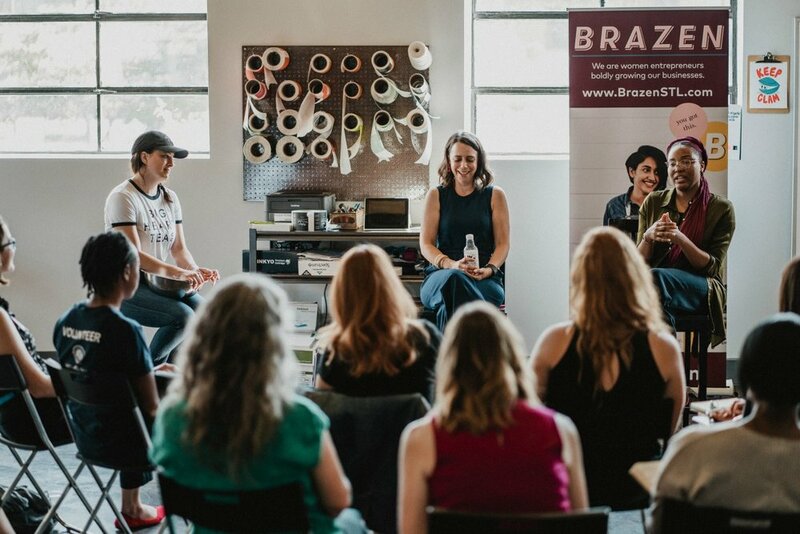 BIG thanks to Brazen Global and One for Women for helping us pull this off. Let’s do it again soon!